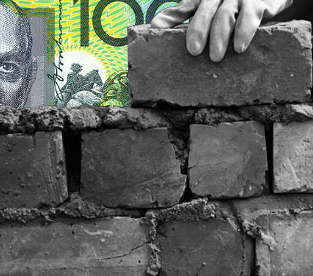 Senator Nick Xenophon has raised concerns about a lack of confidence in proposed arrangements to protect payments to subcontractors in recent ABCC negotiations. His concerns were strong enough that the Federal Government agreed to form a taskforce to look at the matter. But CFMEU national secretary Dave Noonan is not expecting much. “I think that that's a pretty weak provision of the bill,” he told ABC reporters. “The powers that be in the construction industry ... will do everything they can to ensure that this doesn't bear fruit and that the large contractors are able to continue to use progress payments and retention payments which actually belong to subcontractors as working capital for their own businesses. “I think that it's very disappointing that Senator Xenophon was prepared to abandon any meaningful efforts to address this. “The head contractors' commercial interests are taking precedence over the small subcontractors — and we're seeing an increasing groundswell of subcontractors walking away from the Master Builders [Association], resigning their membership and saying they want an organisation which represents their interests, not the interests of the big end of town,” he said. The problem is particularly acute in West Australia, subcontractors across Perth have been complaining of late payments or non-payment on projects including the Perth Stadium, the Perth Children's Hospital and Elizabeth Quay. But Master Builders Association (MBA) WA executive director Michael McLean said the issue of non-payments is of limited importance. “The security of payments issue is something that the Nick Xenophon team has attached importance to as a condition in supporting the ABCC bill — that's an issue that needs to be thrashed out in detail between the Xenophon team, the Government and interested parties,” he said. “In Western Australia, the Construction Contracts Act operates effectively at the moment. But the State Government has recently made some amendments to that legislation which will tighten it up and probably reduce the incidences where subcontractors do not get paid. “Subcontractors are probably one of our largest segment groups within our association membership. We've had no negative feedback from subcontractors at all on this issue. The WA Government has pledged to enact the new ABCC code as soon as possible.